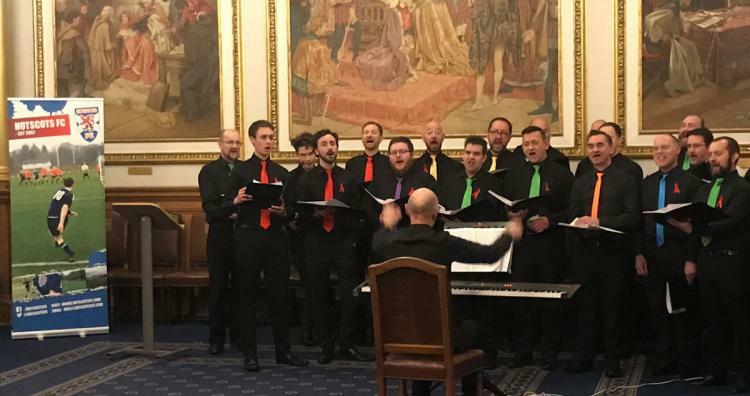 The Hotscots, Scotland's first LGBT+ football team celebrated their tenth anniversary at the Edinburgh City Chambers with a reception hosted by the Lord Provest. The boys of EGMC were excited to be invited along to help them celebrate! We wish them all the best and perhaps we'll have a joint event for our 20th anniversaries in ten years time!